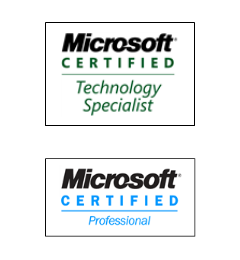 Thoughts of Marcus- Random ramblings of a BizTalk architect: BAM deployment error: SQL Analysis Services 2008 Enterprise Edition is not configured. Can not create OLAP cubes for RTAs. BAM deployment error: SQL Analysis Services 2008 Enterprise Edition is not configured. Can not create OLAP cubes for RTAs. If the BAM OLAP databases are not set up in SQL Server when deploying BAM definitions by running bm.exe deploy-all, the following error message might appear. SQL Analysis Services 2008 Enterprise Edition is not configured. Can not create OLAP cubes for RTAs. 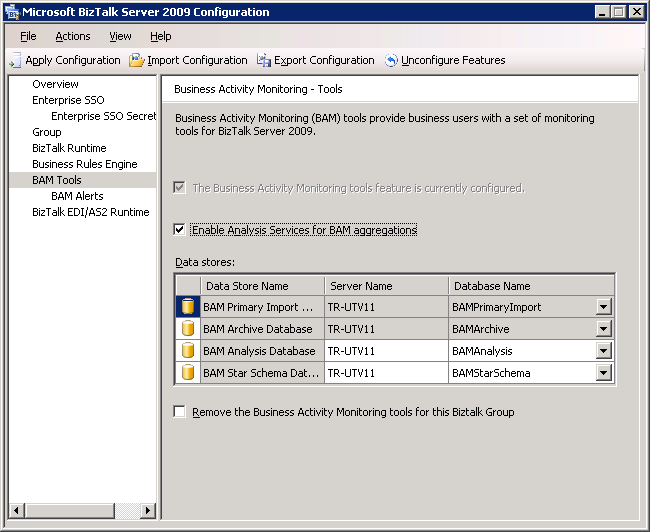 Run BizTalk Server 2009 Configuration and select BAM Tools. Make sure that Enable Analysis Services for BAM aggregations is selected and the Data stores valid. Click Apply configuration after making the necessary changes and then run bm.exe to deploy the configuration once again.